Of all the laws that I encounter as part of my practice, perhaps one of the most misunderstood and misinterpreted laws is North Carolina General Statute 20-28, the offense of Driving While License Revoked. Countless people have come into my office for consultations and asked me how it is possible for them to be charged with Driving While License Revoked, when they have never had a license. Other people have come to me with suspension letters from the Department of Motor Vehicles after they represented themselves and paid considerable amounts of money, with the hope that they would be able to obtain their license. Most people mistakenly think that their issue is simple enough that can handle it without an attorney, but the offense of Driving While License Revoked is not as clear as it appears to be. While it is a traffic ticket, it’s also a misdemeanor charge with serious penalties. Upon first glance it appears to be a harmless ticket, but if it’s handled in the wrong manner, the consequences can be devastating. First of all, it is important to understand what causes a person’s license to be revoked or suspended, and there are certainly several reasons that may contribute to the revocation. Many times, it begins with something as simple as failing to appear in court for some minor traffic offense or failing to pay the fine, court costs, or applicable fees that were ordered to resolve a traffic offense where the person actually did appear in court and resolved the case. In those instances, a person is indefinitely suspended which means that there is no definite period of revocation, and the license can be restored upon complying with the failure to appear or the failure to pay the ordered costs. Other times, a revocation may result from a prior impaired driving conviction where there was a failure to comply with the terms and conditions of that conviction which requires among other things, a substance abuse assessment and the completion of any recommendations by that assessing agency. Finally, being convicted of a “moving” violation during a period of suspension will also result in an additional period of revocation, and moving violations are not just convictions for speeding tickets. Moving violations also include convictions for driving a vehicle without liability insurance. The problem, however, is that many people don’t comply due to financial hardship, neglect or plain inattention, and they continue driving. Inevitably, they are pulled over for some other traffic offense or they go through a license check, and then they are charged with the offense of Driving While License Revoked. For some people, that initial charge of Driving While License Revoked is enough to encourage them to call an attorney for assistance to resolve these issues, while other people continue driving and accumulate more and more charges. So just how serious is the offense of Driving While License Revoked? In North Carolina, the offense of Driving While License Revoked is a misdemeanor offense. Under North Carolina law, the most serious misdemeanors are class A1 misdemeanors, and some of the most common A1 misdemeanors are Driving While Impaired, Assault on a Female, and Misdemeanor Child Abuse. While a conviction for Driving While Impaired carries a maximum sentence of three years, the remaining A1 misdemeanors carry a maximum sentence of 150 days. The next most serious misdemeanors are class 1 misdemeanors which carry a maximum sentence of 120 days, followed by class 2 misdemeanors (60 days) and class 3 misdemeanors (20 days). The most common class 1 misdemeanors are Misdemeanor Larceny, Possession of Drug Paraphernalia, and Driving While License Revoked. Some of the more serious class 2 misdemeanors are Simple Assault and Carrying a Concealed Weapon, while some of the most common class 3 misdemeanors are Shoplifting, Discharging a Firearm in City Limits, and Possession up Marijuna up to 1/2 ounce. So why do I mention all of these other classes of misdemeanors and offenses? I mentioned them to demonstrate that it is possible to receive a stiffer jail sentence for driving on a revoked license than it is to be convicted of assaulting someone, carrying a concealed handgun, or even possessing a small amount of marijuana. Does that mean that every person who is charged with Driving While Revoked receives a jail sentence of 120 days? No. In fact, in the years that I’ve been practicing law I have only personally experienced one individual who received the maximum sentence of 120 days for the offense of Driving While License Revoked, and he represented himself instead of hiring an attorney. I was later hired to appeal his case, and he was able to receive a probationary sentence. In addition to the possibility of receiving an active sentence, the first conviction for Driving While Revoked will result in a suspension of one year for the first offense. That definite suspension means that the DMV will not issue a license until after that one-year period has passed. An additional two years will be added to that suspension for a second conviction, and a third conviction will result in a permanent revocation. While a permanent suspension does not actually mean you will never be able to obtain a license, you will have to wait three years to apply for a license, and there is no guarantee that your license will be reinstated at that time. I agree that we should all have a valid license before we operate a motor vehicle, but I also understand the necessity for people to be able to drive to take care of their families and to handle the countless responsibilities that our lives require us to fulfill. A conviction of Driving While License Revoked includes serious consequences that sometimes result in unduly burdensome results. As an attorney, I cannot change the law as it currently stands, but I can help you navigate your way through it, so that your rights are properly protected. In fact, you may be closer to getting your license than you realize. Therefore, if you are charged with Driving While License Revoked in Forsyth County, you need an experienced North Carolina attorney to assist you. Give us a call before you simply plead guilty or try to handle these cases by yourself. Your ability to drive is just too important. 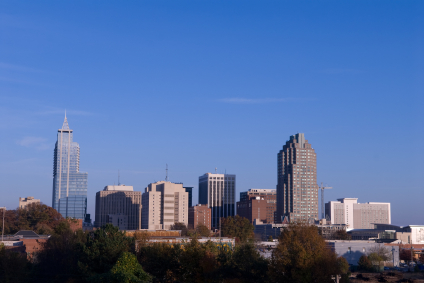 We are located in downtown Winston-Salem, and I’ll give you a free consultation and tell you about all of your options with respect to your driving record. *****UPDATE – On December 1, 2013, a new law went into effect regarding Driving While License Revoked. Anyone who is charged with Driving While License Revoked due to a prior impaired driving conviction is still charged with a class 1 misdemeanor and faces a maximum sentence of 120 days. However, if you are revoked for a reason that does not involve a prior impaired driving conviction, the charge is now a class misdemeanor. Posted in blog and tagged Driving While License Revoked, DWLR, Forsyth County traffic lawyer, traffic tickets, Winston-Salem traffic lawyer.